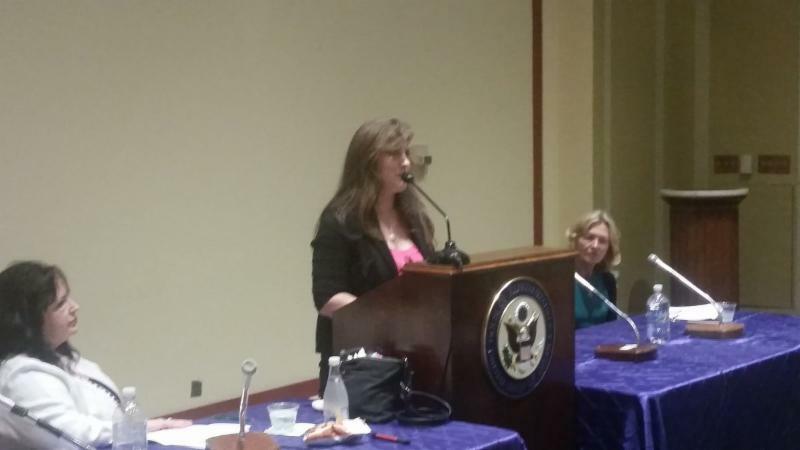 I want to share some of what interns from Berkeley to Harvard, Texas Tech to Notre Dame (and as far away as St. Andrew’s of Scotland and even a student from France) heard at our most recent FFL Annual Capitol Hill Briefing. 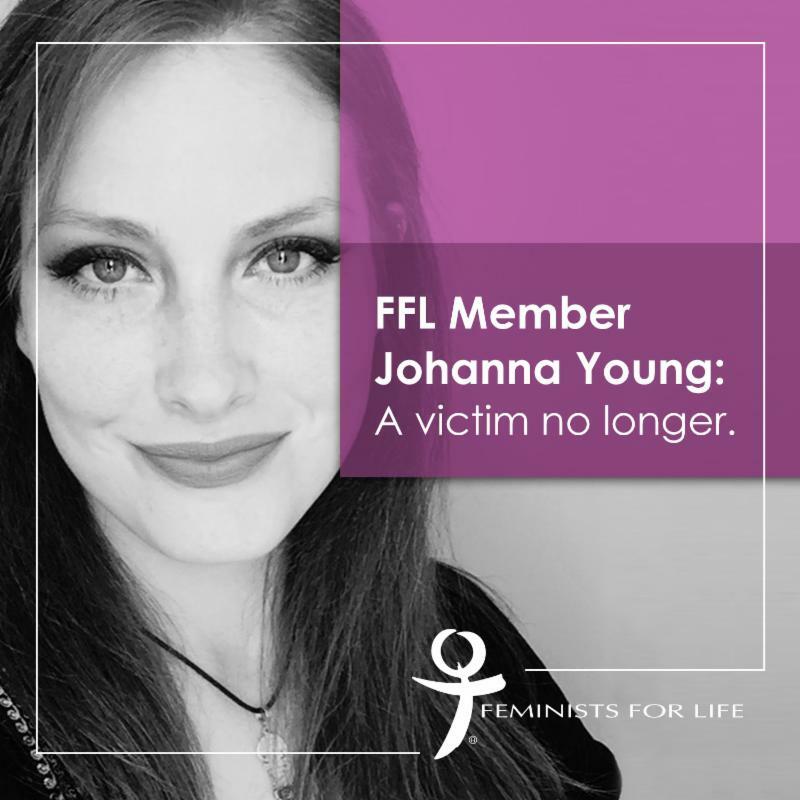 Johanna’s story will speak for itself. You will understand why students cheered for her, a victim no longer. Thank you for your ongoing support, which makes our work possible. I was 19 years old and a first-year student attending an out-of-state college when I became involved with a fellow student. I didn’t see the signs, but he eventually began physically, mentally, emotionally, and sexually abusing me. I wanted to escape his abuse, but by late November, I had gotten pregnant and remained in the relationship because I had believed that I needed his support. He was anything BUT supportive. He had already torn down my self-esteem before I got pregnant, so by this point I truly believed him when he said I wasn’t good enough to be a mother. I believed him when he said that I couldn’t turn to anyone, that I would be shunned by family, and that he was all that I had to trust. I rebelled against him for a short period of time, but that quickly ended when he began beating me up to induce a miscarriage and when he began making threats that he would choke me until I passed out and perform an abortion on me himself. He would also talk about fantasies he had about killing me and using my death as a pity story to get new girlfriends. I was completely terrified and had never felt so alone in my life, besides the new life growing inside of me. So I hid my pregnancy from most everyone, including my entire family. There were a few people who knew about the abuse and pregnancy, but they were students and simply not aware of how to help anyone in my situation. People meant well, but there is a serious lack of knowledge and resources on college campuses about how to deal with both domestic violence and pregnancy. Mostly, people said they didn’t think it was the right time to have a baby, considering the fact that I was young and would presumably have to drop out of college and apparently struggle to find a job and make ends meet. There were a few supportive people whom I am grateful for, who knew the pressure I was under and that I didn’t want to have an abortion, but the negative influences were overpowering. My abuser and I went to a clinic sometime in December, where I stalled for an hour on purpose, and missed my appointment. I ran back to the car, where he beat me harder than he ever had before. Later that night, he coerced me to start taking herbal supplements with abortifacient properties, and way more pills than the recommended dosage. Not long after this, we parted ways for winter break where I continued to hide my pregnancy from my parents. I waited until the last possible day, secretly wishing my parents would find out on their own because I was too ashamed to tell them. I didn’t want to shatter their expectations for me, and I was also trying to protect my abuser, which is unfortunately normal for domestic violence victims. On January 17, 2006, my last day home before going back to college, I finally succumbed to this coerced abortion. I was completely awake throughout the procedure, and have to live with those memories for the rest of my life. The next day, my abuser dumped me, and when I showed him my sonogram, he threatened to destroy it. A few months later, I took him to court for continuing to assault me and got him out of my life once and for all. My life still descended on a downward spiral, as I drank and made self-destructive choices. It’s almost as if I was trying to finish destroying myself where my abuser left off, but it’s how I coped with the abortion and with not being able to go anywhere or talk to anyone about it. Whatever loneliness I felt before, it was completely amplified. Just as no one knew how to help me before due to a lack of knowledge and resources, no one knew how to help me once again as I sank further into depression and regret. The choice I made was based on fear, shame, and a lack of self-worth. All of my fears, doubts, and uncertainties were exposed. Being told I wasn’t ready for a baby made me doubt my own capabilities, even though no one really knew whether I could handle it. I found the help I needed, although the healing continues. Today I am a mother of three, am in a loving relationship, I have earned my bachelor’s degree, and will be applying to grad school soon. I am no longer a victim of violence. I am a survivor. Perhaps you are wondering why I would share this most personal and painful experience with you. I want better for other women who might be trapped in a relationship with an abuser. I want better for pregnant women who may feel more vulnerable because it isn’t just them anymore. I want better for student parents like me, so that no woman feels forced to choose between her education, career plans, and her child. If anyone feels as strongly about helping people as I do, then join me in advocating for more resources and better access and knowledge to those resources in order to make a difference. These resources especially need to be available on college campuses, where everyone deserves a chance to graduate and lay a foundation for a successful future. This is why I helped bring Serrin to my former campus, George Mason University, to start the discussion about the lack of resources and to develop on-campus resources and help connect women to community support. Why do we doubt women’s capabilities and assume that they can’t take on motherhood along with their other responsibilities? If the answer is because of social, financial, or economic reasons, then society has failed her. We have the power to change that. We have the power to love and support real people out there who are hurting and feel like they’ve run out of resources and support. Feminists for Life is a group dedicated to helping those very people. Because pregnant women, parents and birthparents–and victims of violence–deserve better. 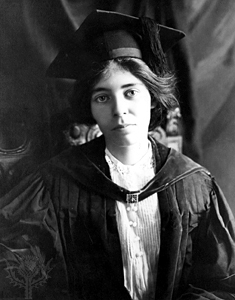 When the ’70s women’s movement embraced abortion, Alice Paul called it the “ultimate in the exploitation of women.” We agree. We also know that money can hasten the day when our goals are reached. In the spirit of Alice Paul, a small group of former FFL leaders are going to DOUBLE-MATCH your new or increased monthly gift.